The Enugu State chapter of All Progressives Congress has intensified its efforts to attract voters in the Enugu West Senatorial Zone of the state, just two days to the presidential and National Assembly elections. The campaign train, led by the governorship candidate of APC, Senator Ayogu Eze and all the party stalwarts, took-off from the governorship campaign office to convince party supporters in the five council areas in the zone. The News Agency of Nigeria reports that the campaign team was received by large crowd at the senatorial zone of the Deputy Senate President, Senator Ike Ekweremadu, as they told party supporters why they should vote for Buhari and all the APC candidates in the National Assembly poll. Eze enumerated some of the federal projects he influenced in the area while in the Senate as attracting the Nigerian Television Authority to the zone, which was still ongoing, among others. He said that the people of the Enugu West Senatorial Zone had every reason to vote for Buhari for a second tenure because of the “remarkable democracy dividends” he has extended to the South-East. He informed the people of the zone that by the zoning principles of the APC, massive votes for Buhari this time was a huge investment for 2023 president of an Igbo extraction, and advised them to vote wisely on Saturday. The governorship candidate said that among the five states in the South-East, only Enugu and Ebonyi had not produced a female Senator, adding that Enugu was going to break the jinx this time around. The APC Senatorial candidate from Enugu West, Mrs. Juliet Ibekaku, promised the zone effective and quality representation and canvassed for their full support. Ibekaku said that she was going to be the first female Senator in Enugu State, noting that she was optimistic that she would win due to the tremendous support received from the zone. She said that if APC was voted into power that she would attract numerous projects that her opponents who had been there for 16 years could not. 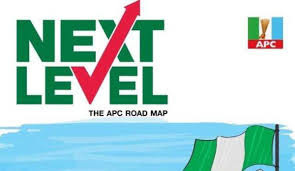 Contributing, the most popular House of Representatives candidate in the zone, who was to represent Awgu/Orji-river Federal Constituency, Mr Vin-Matins Ilo, said the party was fully prepared to mobilise the electorate to vote for Buhari and all the APC National Assembly candidates. Ilo said the people of Enugu were tired of the Peoples’ Democratic Party-led administration, adding that everybody is yearning for a change. He said that the zone had produced Deputy Senate President for 16 years but still most of their major roads were bad.